This scholarship offers a unique opportunity to tour Woolmark allied creative industries especially the textile industry in Milan. The Australian Woolmark Company is a research and development institute and is involved in the commercialisation of wool technologies now recognised as a global authority on Merino wool. Receiving a scholarship helps me to focus on my studies. It also means that I know I have the support of others in order to study and reach my goals. Currently enrolled in an undergraduate or postgraduate program offered by Monash Art, Design or Architecture, Monash Arts, or Monash Business School, or a related double degree at a Monash Campus in Australia. Have completed 24 credit points at time of application. Up to two-weeks industry tour led by The Woolmark Company's Milan office (travel and accommodation for the tour are not included in the scholarship). Opportunity to participate in relevant extra-curricular activities related to the historical significance of the Prato textile industry. Invitation to visit Geelong wool growers to observe the role of Woolmark in assisting the Australian wool industry (prior to departure for Italy). Possible invitation to provide a presentation about your experience on return from the trip to Australian Woolmark representatives. A Woolmark medal and certificate. Awarded based on a combination of academic achievement and a written statement demonstrating how the Italian industry experience is relevant to their course, interests and professional career and development goals. 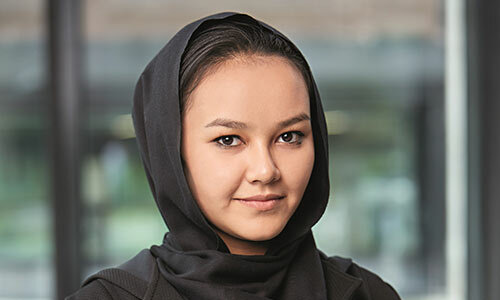 The recipient must meet Faculty and Monash Abroad eligibility criteria to undertake a credit bearing overseas study program at Monash University Prato Centre. Meet prerequisites, as outlined in the current handbook by the time of departure and enrol in Prato units. Submit a report to the donor reflecting on their Italian Industry experience.